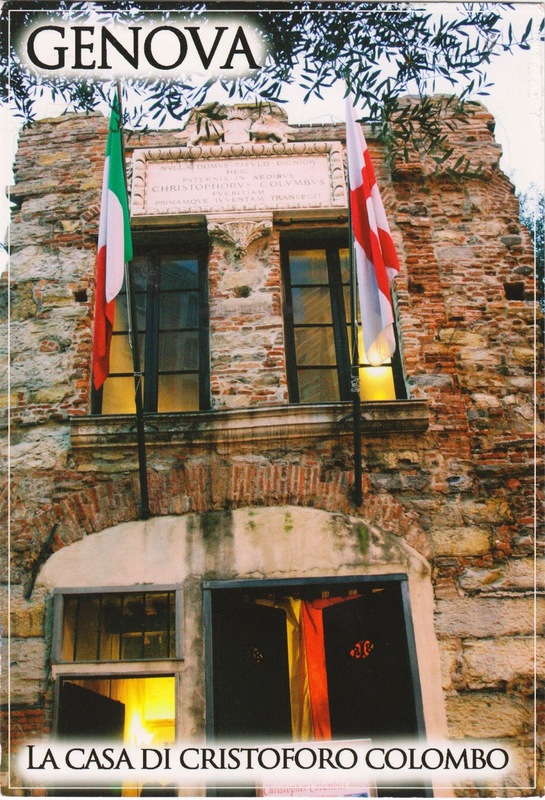 Postcard IT-251822 from Italy shows the house of Christopher Columbus in Genoa, reconstructed in the eighteenth century, where he lived in his youth. Christopher Columbus, born between October 31, 1450 and October 30, 1451 in the Republic of Genoa and passed away on May 20, 1506, was an Italian explorer, navigator, and colonizer. Under the auspices of the Catholic Monarchs of Spain, he carried out four voyages across the Atlantic Ocean that led to discovery of the New World. 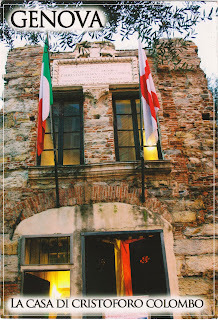 Now a museum of the City, the house is located not far from the Gates, just outside the ancient medieval walls . Historical records indicated that Christoper Columbus lived there between 1455 and 1470 .